Langtang trekking introduces an excellent trekking destination in Nepal. Close to the border of Tibet, the narrow Langtang Valley is situated on the lap of Langtang Himal, north of Kathmandu, the capital city of Nepal. The highest peak Langtang Lirung (7,246m) in the area dominates the Langtang valley. Literally 'Langtang' is originated from two different words, 'Lang' means Yak and 'Tang' means to follow. The Langtang trek to the base of Langtang Himal offers the shortest approach to snow-white mountains from Kathmandu. Staring from Syabru Besi, we pass through small peaks, lush green forests and the wide spread Kyangin Valley surrounded by snow peaks. The glaciers at a comfortably low elevation are amazing on the way towards the base of Langtang Himal. The Kyanjin (3,800m) provides you an opportunity to climb Kyangjin Ri (4,350m) from where the 360 degree mountain view is fantastic. Among others, the sacred Gosaikund Lake is one of the main attractions of this trek. Thousands of Hindu and Buddhist pilgrims visit the Lake during a full moon festival in August. 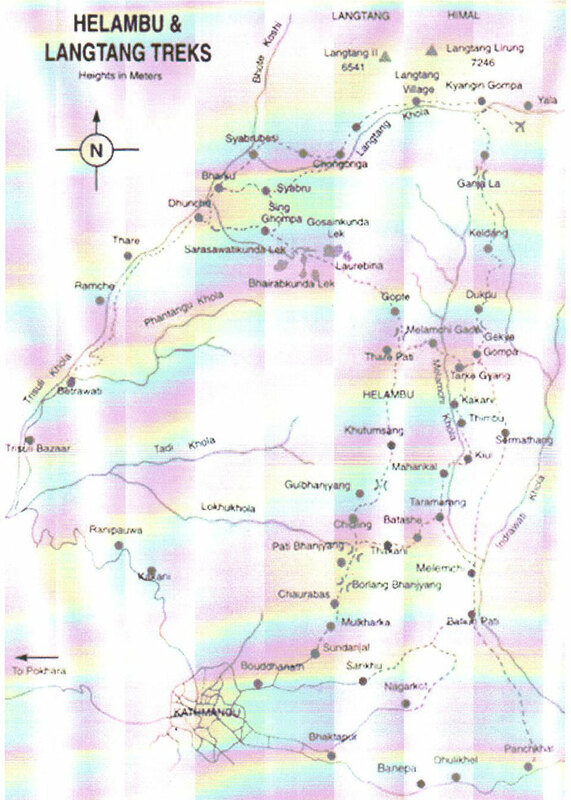 The Langtang National Park, established in 1976, is Nepal’s first Himalayan National Park. It is now a protected area (1,710 square km) that conserves the unique flora and fauna and many wild animals. Tiger, wild boar, red panda, musk deer, Himalayan black bear, Himalayan Thar (wild goat) are main animals in the park. A visit to Lantang valley is an opportunity to explore Tamang indigenous peoples and their community. The Langtang trek can be done at any time, except July and August, the monsoon in Nepal. Although, the best time to visit Langtang is spring and autumn.